Drug Lab Assessment Sampling and Cleanup Oversight | Biomax Environmental Inc. 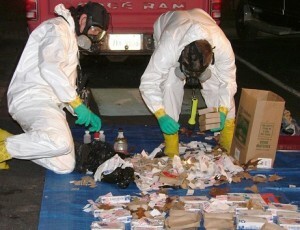 Since 1996, BioMax Environmental has performed hundreds of methamphetamine assessments and accumulated years of extensive experience in the assessment and evaluation of properties contaminated by the storage, use, and/or manufacturing operations involving methamphetamine (meth), marijuana growing operations, and other illicit drug manufacturing operations. In fact, our Senior Certified Industrial Hygienist (CIH) and technical staff have performed hundreds of sampling assessment actions in California and surrounding states. Such assessment activities are performed in accordance with California’s Methamphetamine Manufacturing Cleanup act of 2005 (AB1078) as administered throughout each of California’s regional counties and designated CUPA authorities under California Health and Safety Code Section 25400. Our professional services include the management and coordination with local administrating authorities to develop an approved Preliminary Site Assessment (PSA) sampling work plan and ends with the final verification of clean-up and provision of a “Clearance” assessment summary report. Post Mitigation Clearance Assessment and provision of FINAL Clearance Report following the successful completion of prescribed mitigative activities. BioMax is experienced in the current guidelines and standards published throughout California and other States as well as those established federally by the United States Environmental Protection Agency (USEPA) in its current publication, Voluntary Guidelines for Methamphetamine Lab Cleanup published in August 2013. 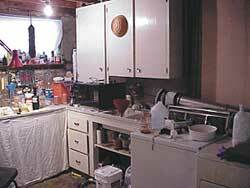 BioMax professionals have provided training to first responders, regulatory agencies, mitigation contractors, property management firms, and concerned citizens on the assessment and evaluation of properties contaminated with methamphetamine. Mr. Michael A. Polkabla, CIH, REA is the Senior Certified Industrial Hygienist with BioMax Environmental and has over 20 years of professional experience with methamphetamine assessment and cleanup management throughout California. Please feel free to contact us to discuss your project specific compliance and regulatory needs.